At 0430 this morning I was in a hotel in the French Alps waiting for a bus to take me through a blizzard to Geneva Airport and home. Checking my email on my phone I found two messages from Twitter - each telling me that my password had been reset "as a precautionary security measure". My first reaction was that this was yet another phishing scam, designed to take me to a site where I would hand over my Twitter credentials like a mug. Then I asked my Twitter followers - and quickly realised that the emails were genuine and signalled the most serious security crisis in the company's history. Scanning the company's blog, I found that I was one of a select few. Just 250,000 out of 200 million active users have been warned that "limited information" may have fallen into the hands of hackers. 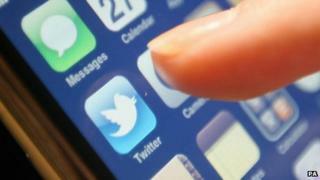 Twitter is emphasising that it acted rapidly to warn people the moment that it spotted the danger - but there is still little information about the nature of the attack or why just one small section of users is in danger. From what I can see, most of the people who've received the email are early adopters, those who joined Twitter in 2007 or earlier. Is there an early database which is not as secure as the systems brought in as Twitter took off? Twitter is linking it to those on the New York Times and the Wall Street Journal which have been widely blamed on Chinese hackers. But in this murky world where both attackers and defenders are reluctant to give anything away about their methods, we may never know for sure. But the other company with a crisis on its hands is Oracle, owners of Java since the takeover of Sun Microsystems in 2011. Everyone from the US Department of Homeland Security to Twitter is now warning that the programming language has flaws which are being exploited by hackers and are advising users to disable it in their browsers. In the meantime, this is another useful reminder to take more case of what Twitter's head of security calls "password hygiene". That means passwords like "password" and "123456" just won't do any more.